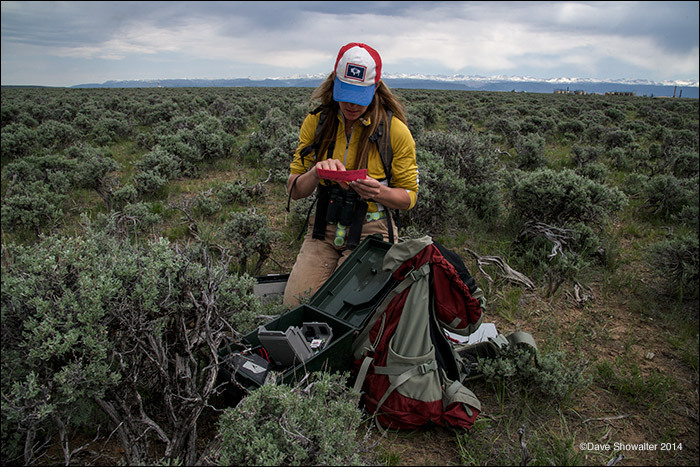 Dr. Anna Chalfoun checks a nest site on the Pinedale Anticline Natural Gas Field. The team placed cameras that are activated by motion near some of the nest sites to record predation - mostly by small rodents. Photo © copyright by Dave Showalter.